I was talking with a friend last week about how different life is going to be in 9 weeks(ish) when both Milo and Sophie are in school full-time. It’s going to be a VERY different chapter. For the last 7 years or so, I’ve worked on this blog in between naps and quiet times, before the sun is up and after the sun is down, and whenever the kids are happy playing and I can get in a few minutes here or there. When Milo started preschool, I suddenly got about 2 hours, 3 times per week to fit things in, but even so, most of my work is definitely done in the fringe hours. I love working on this blog. I absolutely love it. Even when some new technology or regulation crops up, or I need to learn a new skill, or master a new kind of social media, this is something I *love* doing. In 9(ish) weeks, my kids are going to be in school full-time. And I’m going to have about 6 hours every day to fill. It’s going to be so strange and exciting and sad and wonderful and hard all at once. And I have no idea what that will do to what goes on here on the blog. We start summer vacation this week (on Wednesday afternoon! ), and I’m looking forward to one last hurrah before they’re both gone during the day. My plan is to spend a lot of time swimming, and reading, and just being together. So, I’m going to be keeping meals as simple as possible. 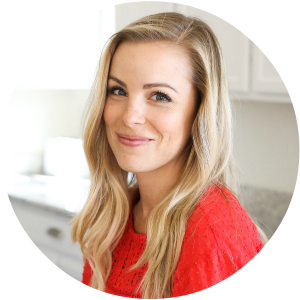 That’s been a total theme lately around here–easy, convenient meals that come together quickly and have lots of replay value. 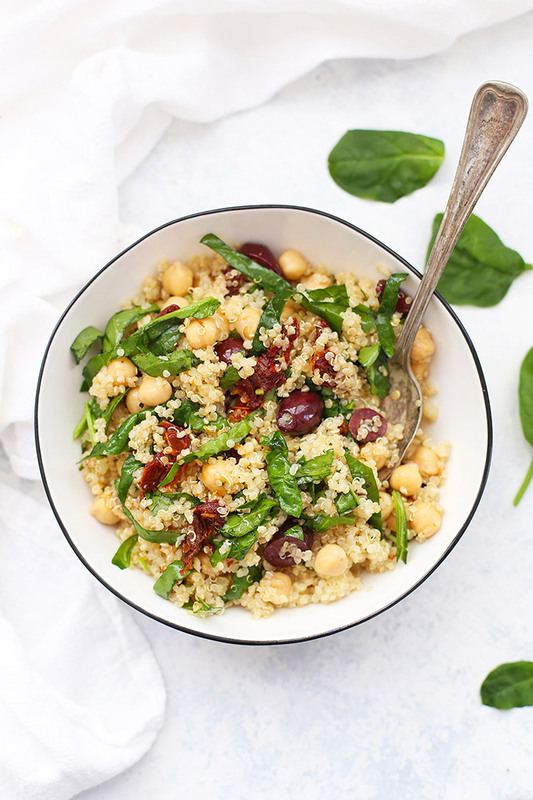 One of my go-tos is quinoa salads for lunch and this sun-dried quinoa salad was MADE for this! 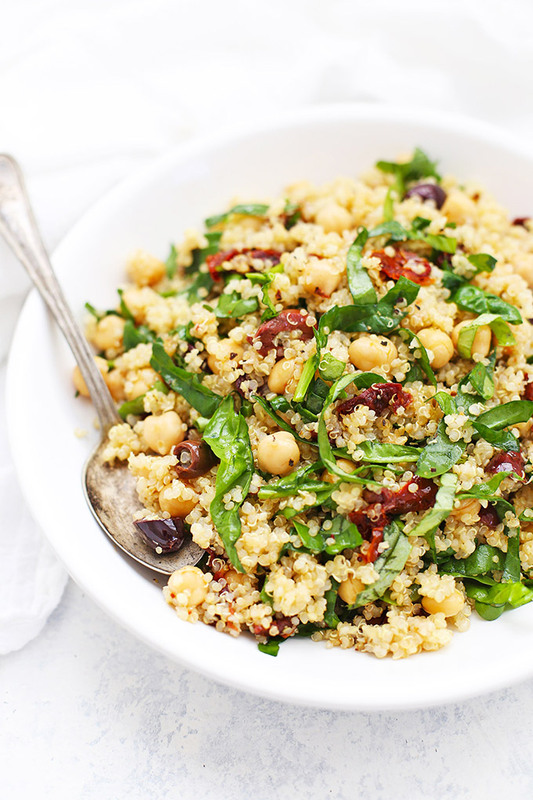 Quinoa is the perfect base for a make-ahead or meal prep lunch. I love that it’s hearty and filling and packs a nice protein punch. Plus, it plays nicely with so many flavor combinations that just about anything goes! 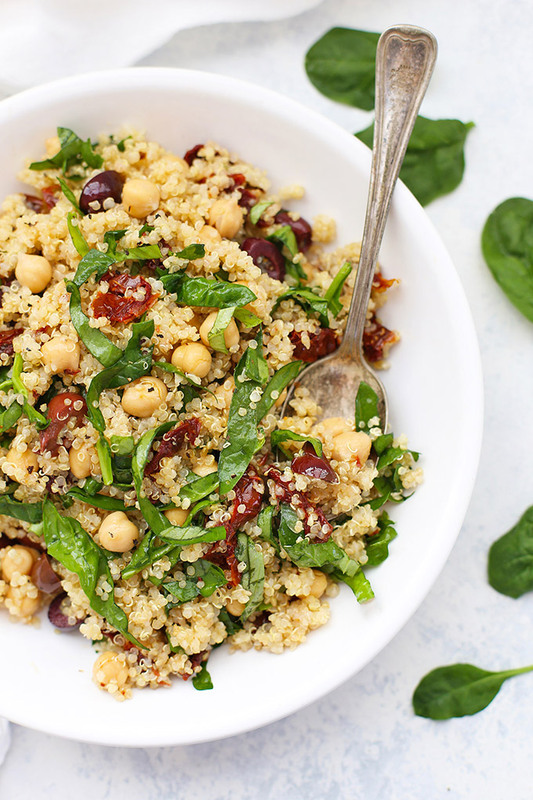 For this sun dried tomato quinoa salad, I kept a mediterranean theme. 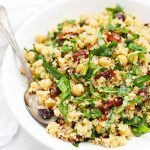 The quinoa is flavored by tangy kalamata olives, the lovely depth of sun-dried tomatoes, and a bit of freshness from the spinach and basil that keep me coming back for more. Plus, leftovers just get better and better. Whatever anyone does (or doesn’t) choose to add, this is one of those easy lunches I love putting on repeat. I hope you will too! Let’s talk olive oil. 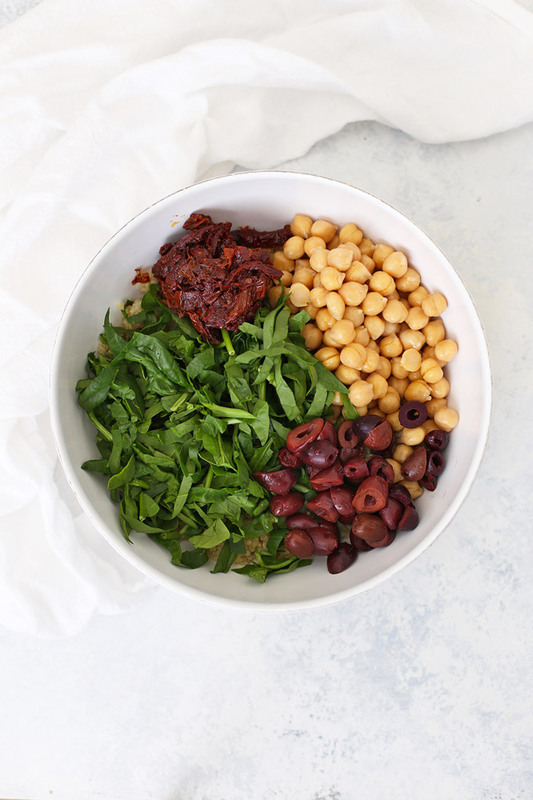 You can easily kick the flavor up a notch in this salad by using a flavored olive oil (Queen Creek Olive Mill makes my favorites), or by using some of the olive oil from your sun-dried tomatoes. I love Jeff’s Naturals brand sun dried tomatoes because the ingredients list is so simple. 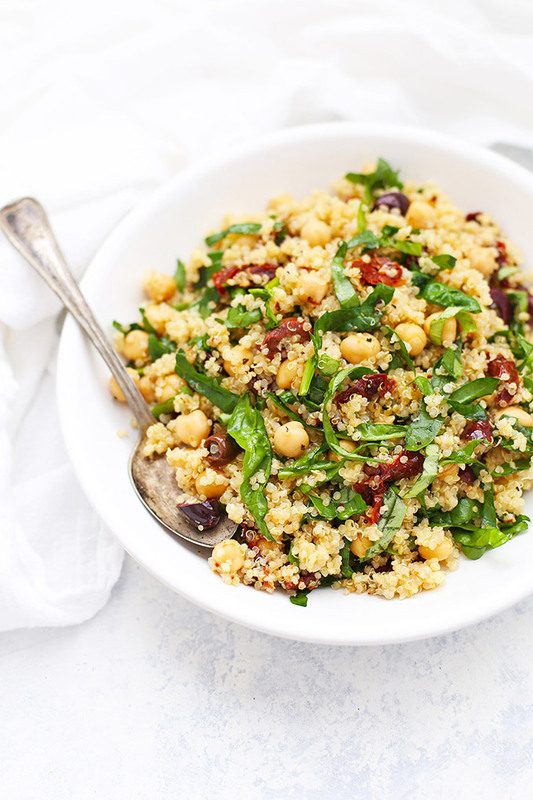 Do you know how to cook quinoa? It’s really easy. I’ve got a little tutorial here, but my biggest tip: rinse it in a sieve before cooking. It’ll take any bitterness away and make the quinoa taste much more neutral (and more like rice). Stir in chickpeas, spinach, olives, sun dried tomatoes, lemon juice, olive oil, salt and pepper. Taste and adjust amounts or seasonings as desired. Serve warm or cold! Emily, I made this and it was DIVINE! I am so happy to have this recipe. I relished every bite. Thank you, thank you for your lovely website. One succinct and salient word: Perfection! Wow…this was so good–and easy to make. Thanks so much. Will try more of your recipes. Oh, I’m SO, SO glad to hear this! I love when other people love these recipes as much as I do. SO glad you enjoyed it! Thanks so much for sharing!